(Trent Nelson | The Salt Lake Tribune) Utah Royals FC hosts the Chicago Red Stars, at Rio Tinto Stadium in Sandy, Saturday April 14, 2018. 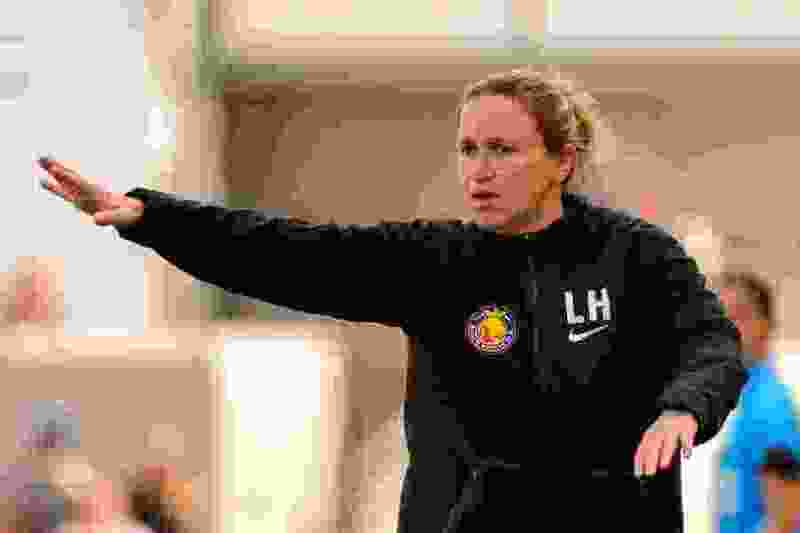 Utah Royals head coach Laura Harvey. The Utah Royals signed midfielder Veronica Boquete, the team announced Friday. Boquete is a veteran of the Spanish Women’s National Team who most recently played for Beijing BG Phoenix. Throughout her career, she has played for three United States-based teams, including Chicago Red Stars in 2010, the Philadelphia Independence from 2011-2012, and with the Portland Thorns in 2014. Boquete said during a live interview on Instagram that she has admired Royals head coach Laura Harvey for several years after playing against her on several occasions. She expressed excitement for the opportunity to work alongside her next season. During the 2014 season with Portland, Boquete’s team lost a semifinal to FC Kansas City. She said that at the time, that might her last time on a U.S. team. After winning champions at various international stops throughout her career, she feels joining the Royals can help her achieve a championship in America. “My career can’t be complete if I don’t at least try again,” she said. Boquete will join a former teammate in Christen Press. The two played together in Sweden for the now-defunct Tyresö. Boquete said she texted Press after speaking with Harvey about potentially joining the Royals. Harvey also expressed excitement to have the Spanish native in Utah. Harvey alluded to the signing on Twitter minutes before it was announced. New teammates also took to social media to congratulate Boquete. Becky Sauerbrunn, Kelley O’Hara and Christen Press will join the United States Women’s National Team for its January training camp in Portugal. The USWNT qualified for the Women’s World Cup in October. Sauerbrunn, O’Hara and Press were all named to the qualifying roster in September. All three saw time on the pitch during the qualifying tournament. O’Hara underwent right ankle surgery in late October and was scheduled to miss 8-12 weeks, but was still included in the call-up to the national team camp.